WordPress provides an inbuilt feature used to navigate through posts. Developers of themes can make use of numbered pagination of straightforward links to mark or distinguish the next page or the previous page in a sequence. Except it is overridden by your theme, WordPress will make use of its default option to decide the number of blog posts present on one page. An example where WordPress might decide to override this value is when a custom query is being used. WordPress is blessed with different functions for showing links in various pages in your loop. However, some of these functions can only be used in unique contexts. Single post pages and archive pages possess different functions. There are different methods available but one of the simplest is posts_nav_link(). All you have to do is place the function in your template immediately where the loop ends. This will create links to the next page and previous page (if applicable) of posts. This function is suitable for WordPress Theme Development with simple pagination requirements. When multiple pages are present, it will be more-ideal to create a list of page numbers so it will be easy to navigate. With the list of page numbers, there won’t be any need to repeatedly click the next or previous posts. There are several functions provided for numerical pagination lists. To ensure a more extensive pagination option, you can make use of the_posts_pagination() for WordPress 4.1 and all other higher versions. This will ensure that links to previous and next pages of posts are provided. Use paginate_links() if you want your pagination to support WordPress versions before 4.1. The previous functions are to be utilized on archive and index pages. To view a single blog post, you must make use of prev_post_link and next_post_link. You’ll have to place the below functions at the end of the loop on your single.php. WordPress makes a tag available. This tag can be placed in post content so that pagination for that post can be enabled. If you’re making use of the tag in the content, you have to make sure that the wp_link_pages functions is arranged in your single.php template inside your loop. Category pagination in WordPress can honestly be a bit dicey in its execution. In this post, we’ll assume that you’re establishing a custom category page (almost like category.php) in your theme file. We now have the current category saved in $cat_id. We’ll now start with the second part which entails establishing unique arguments for your loop and the real loop. It should be noted that putting an offset number into the loop will break it. The above is a random example of what your code might look like. It definitely will be more complex than the example. End the loop once you’re done with the HTML/PHP. After ending the loop, the final step should be started. This step will bring everything together and ultimately insert the pagination links to the page. Wrapping this code in a div isn’t compulsory, but I decided to do it anyway. You can also change the prev_text and next_text to anything of your preference. With this, you’ve put pagination into your custom page. 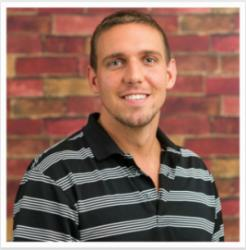 Nathan Beers is a former professional poker player turned developer. He is currently living in Tampa, FL and working as a full-stack web developer. He is really very fascinated by learning new technologies and love to write about them. He intensely believes in a decentralized internet with no government involvement and enjoys trading cryptocurrencies. 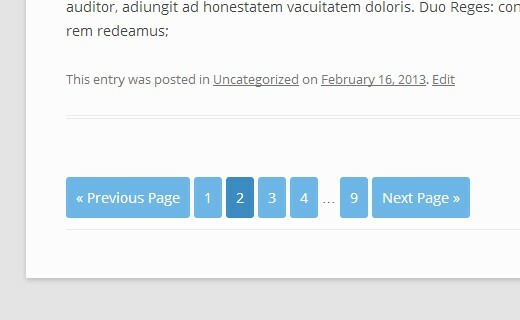 i read your post on pagination on WordPress. I have to say, I’m very impressed with your perspectives and opinions. keep sharing your valuable thoughts.